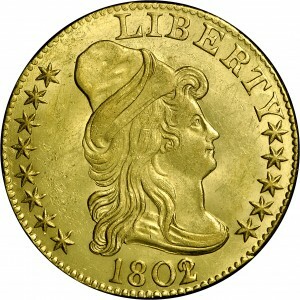 This example is Breen variety 1-D and is recognized by reverse rim breaks just above both wingtips. 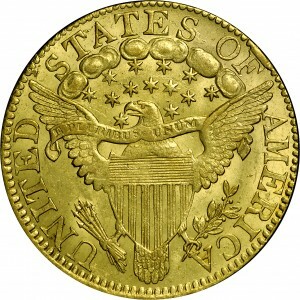 This is a very common variety, clearly the most common among 1802/1 half eagles and is one of the very common varieties of the design type. 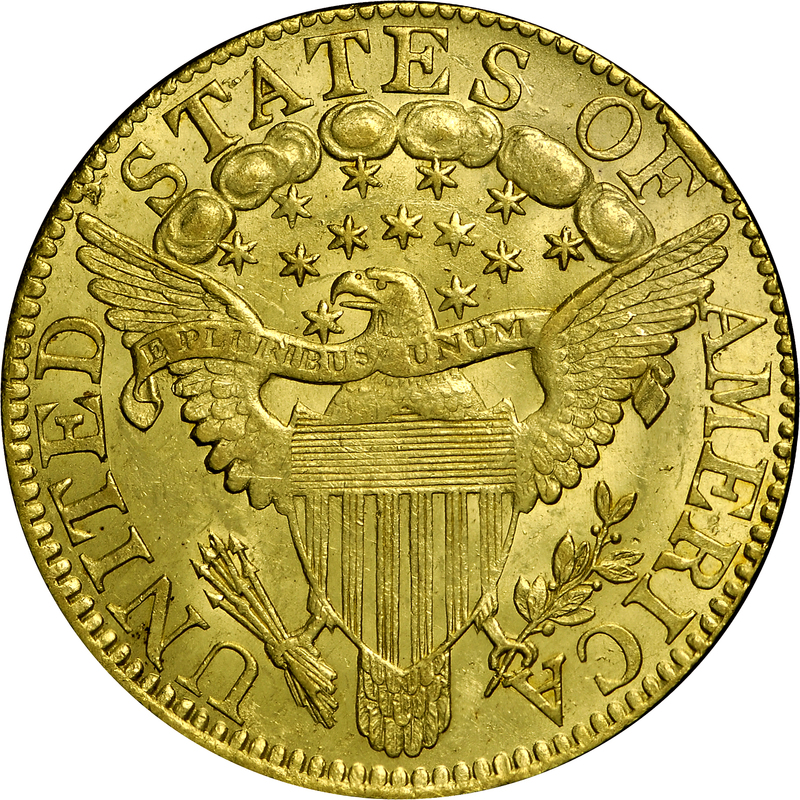 The Bass Collection coin is an exceptional Mint-State example. Breen variety 1-E is extremely rare and variety 1-F apparently does not exist. Harry Bass had a collecting goal of acquiring at least one example of every known variety. He very nearly met his goal although a few varieties eluded him. From Stack's sale of the Scanlon Collection, October 1973, Lot 2251. 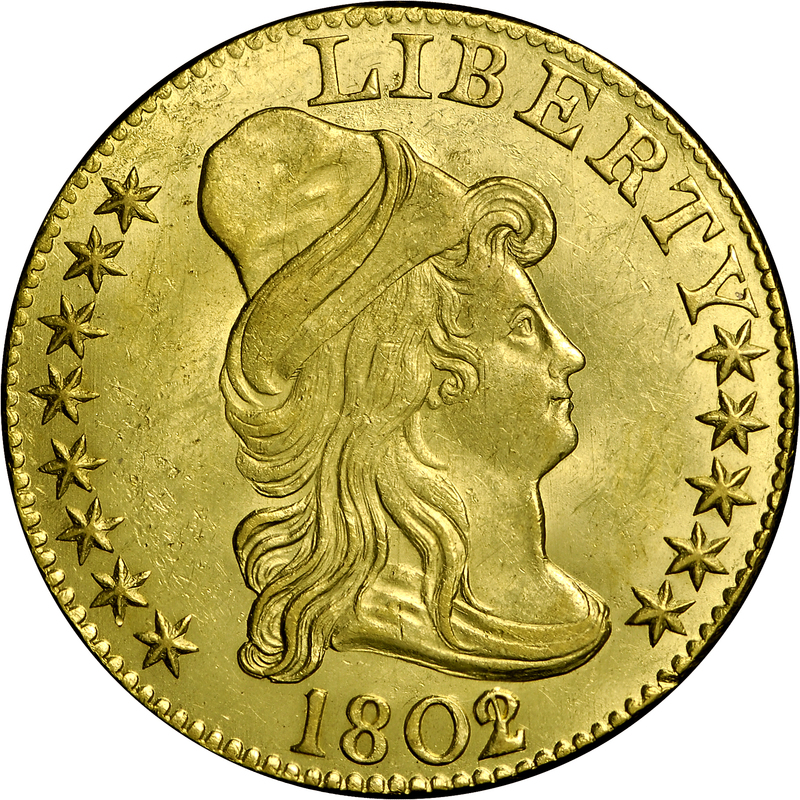 "Obverse: 2 over 1 (1 centered)."